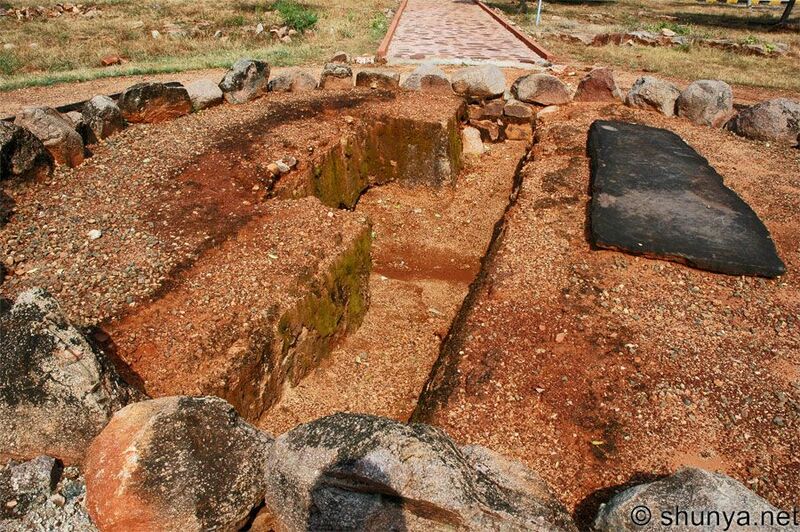 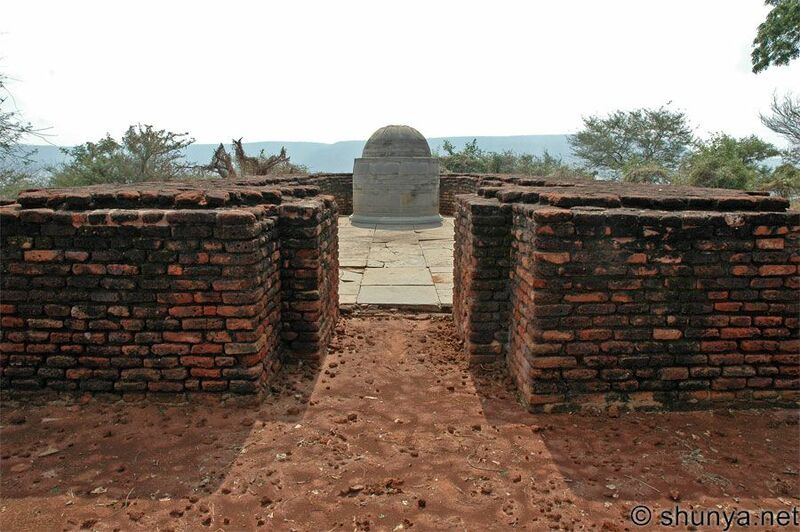 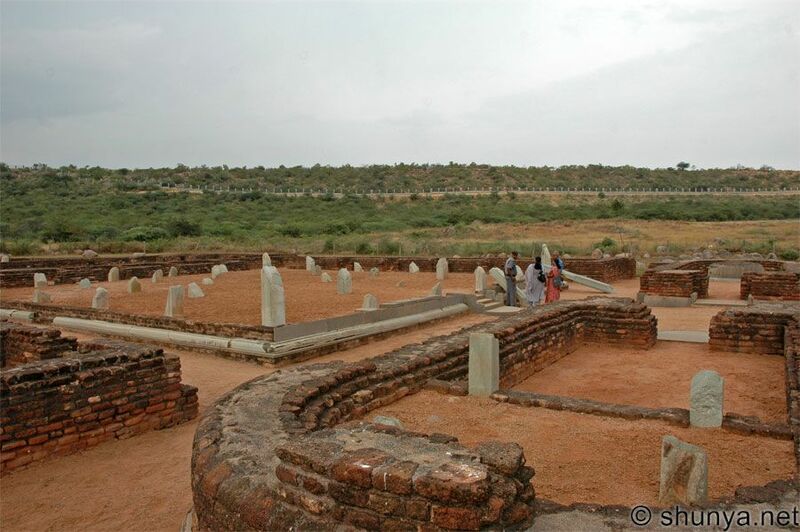 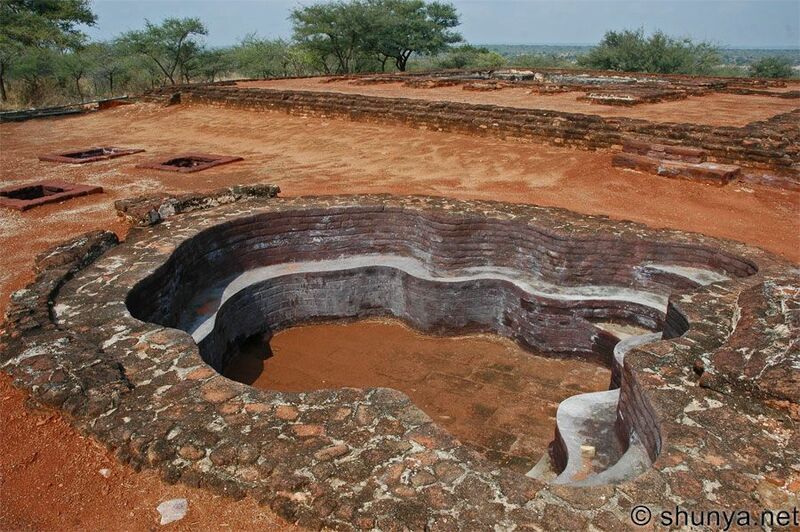 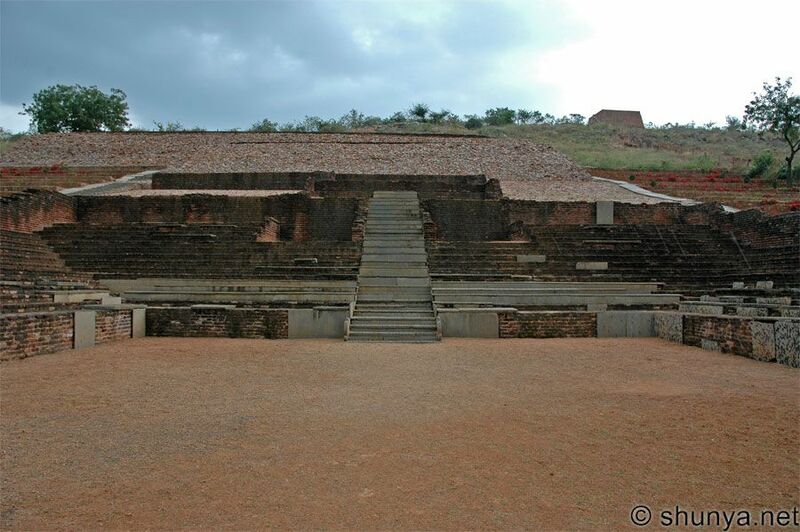 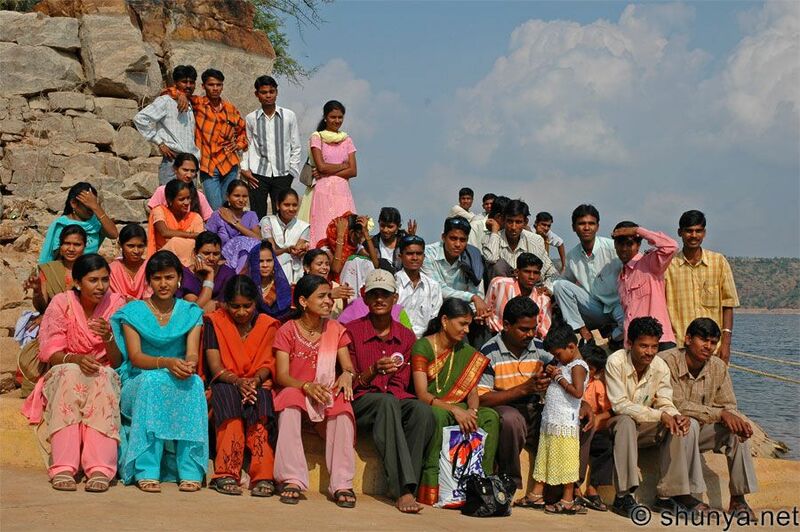 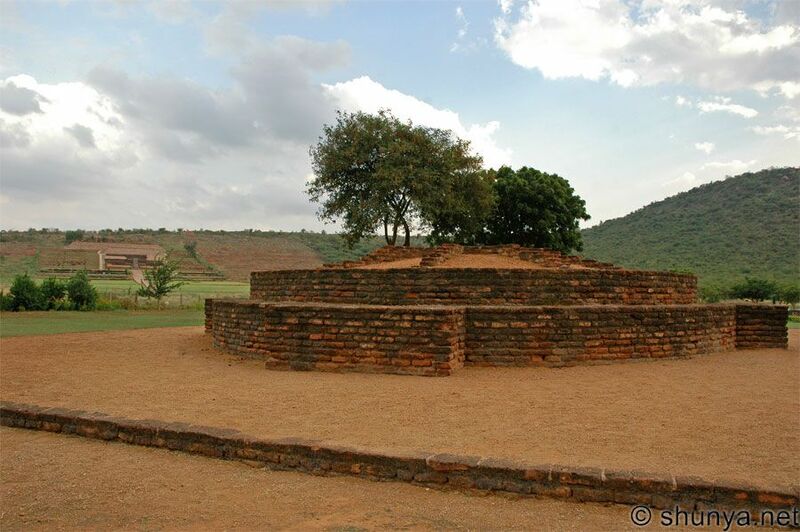 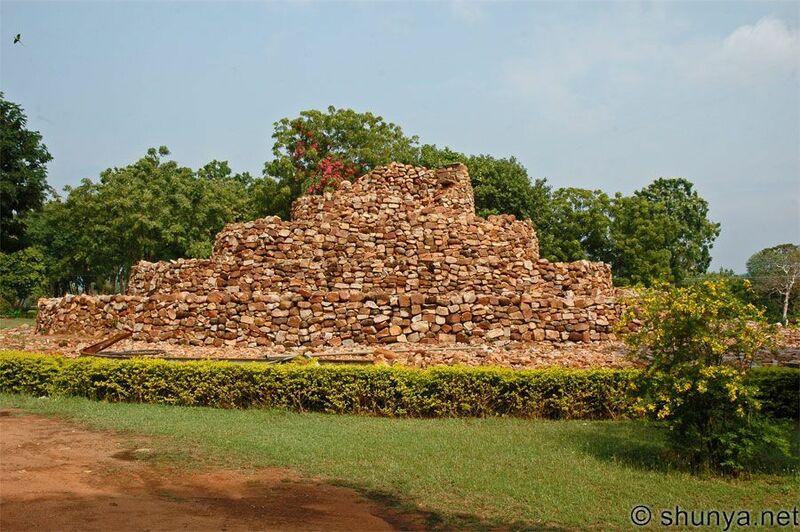 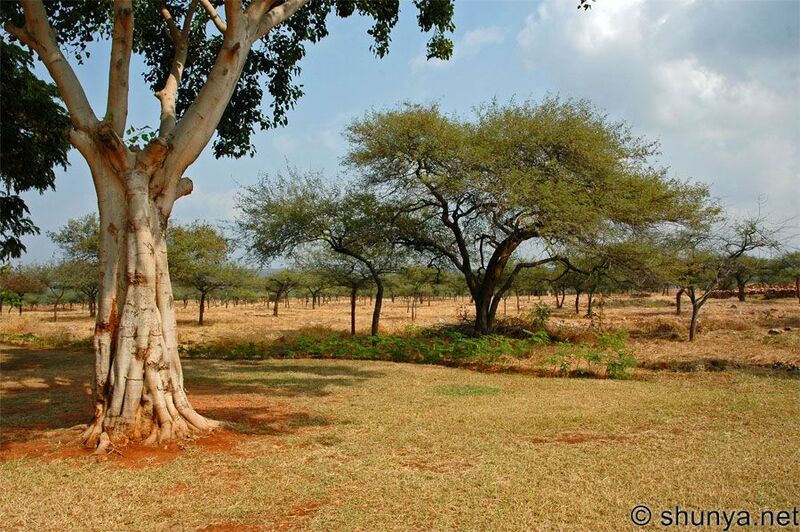 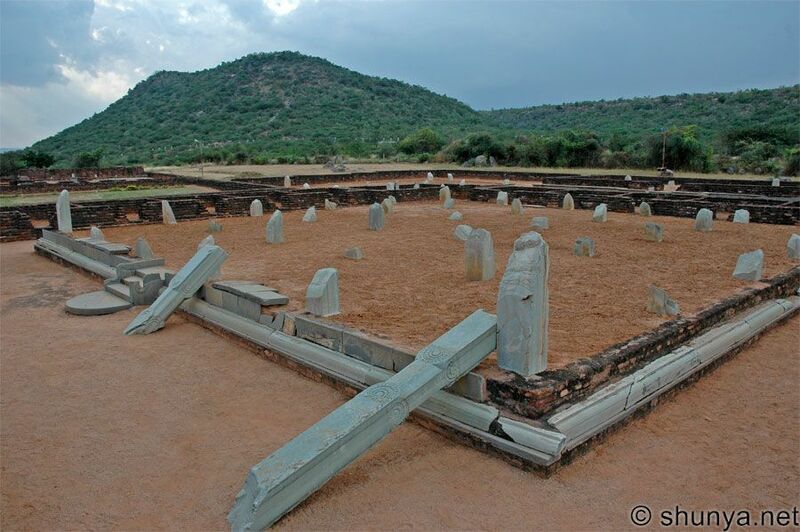 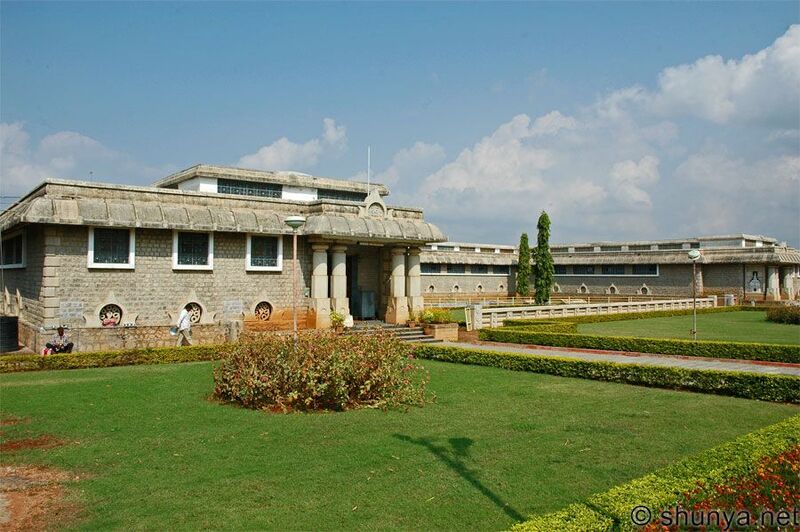 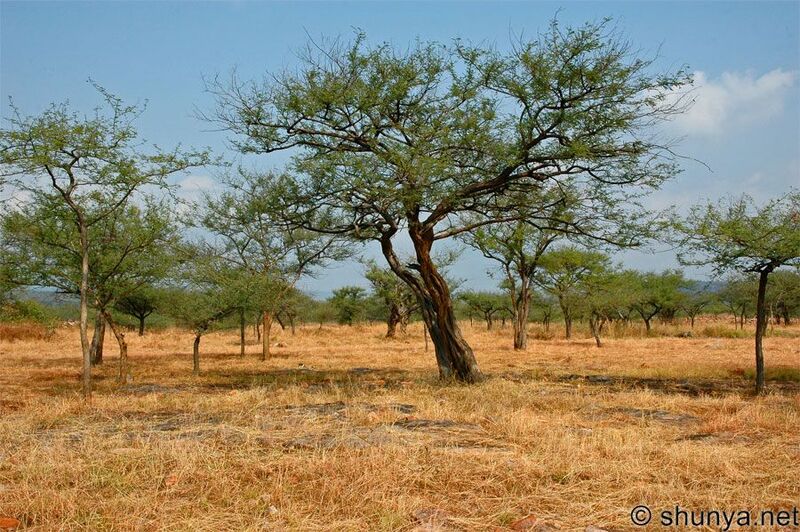 A city flourished around 1,800 years ago at Nagarjunakonda, the Hill of Nagarjuna. 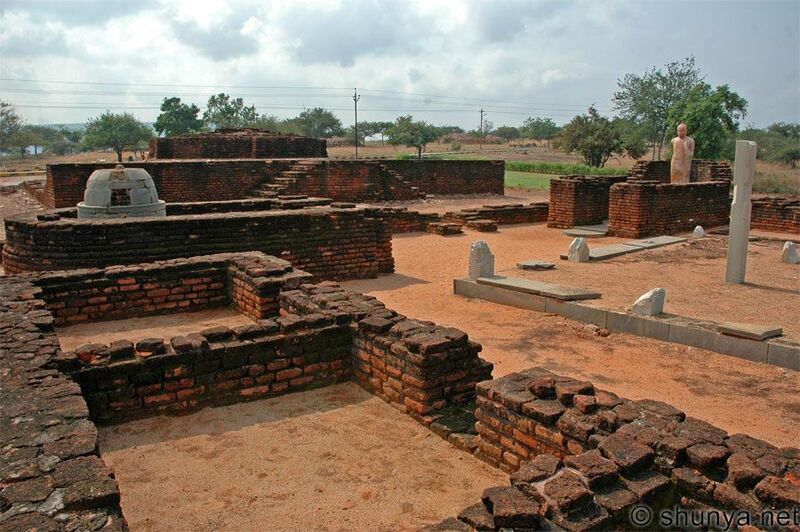 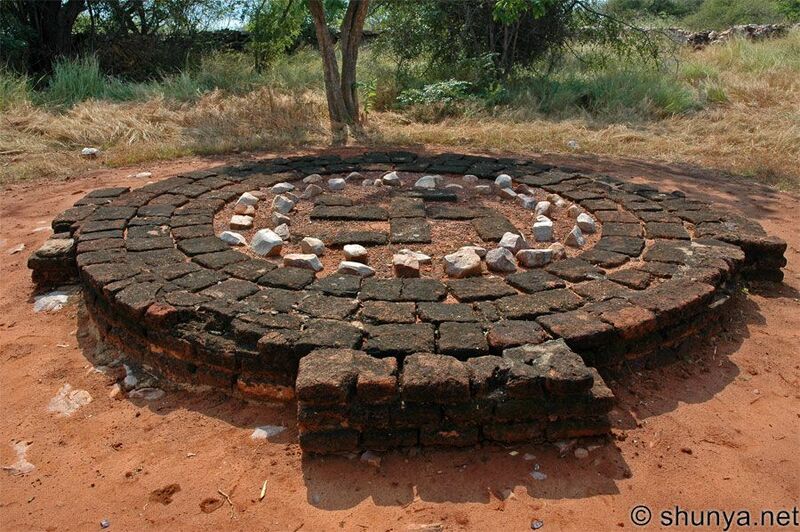 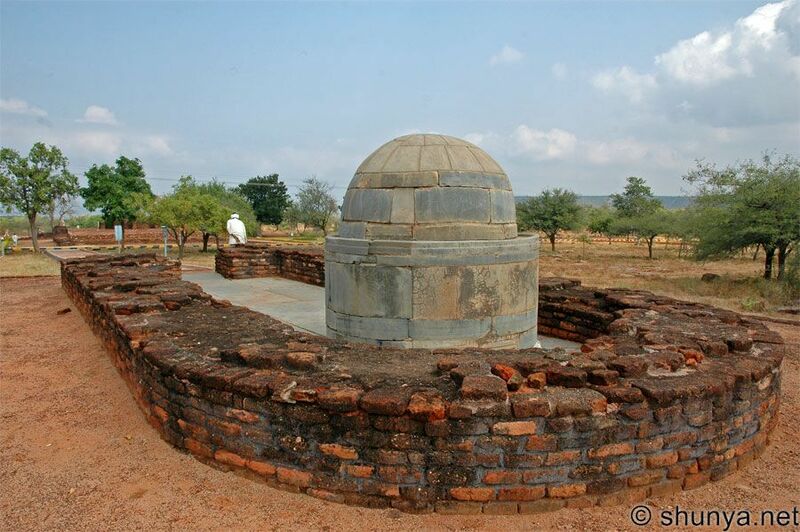 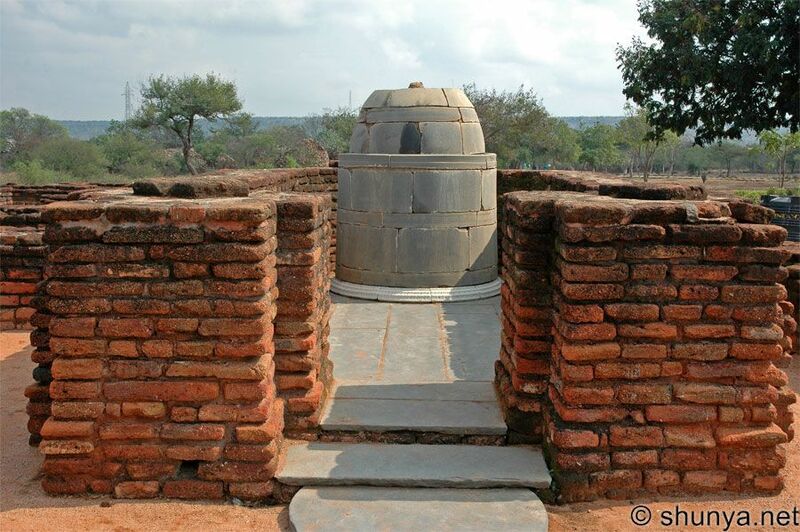 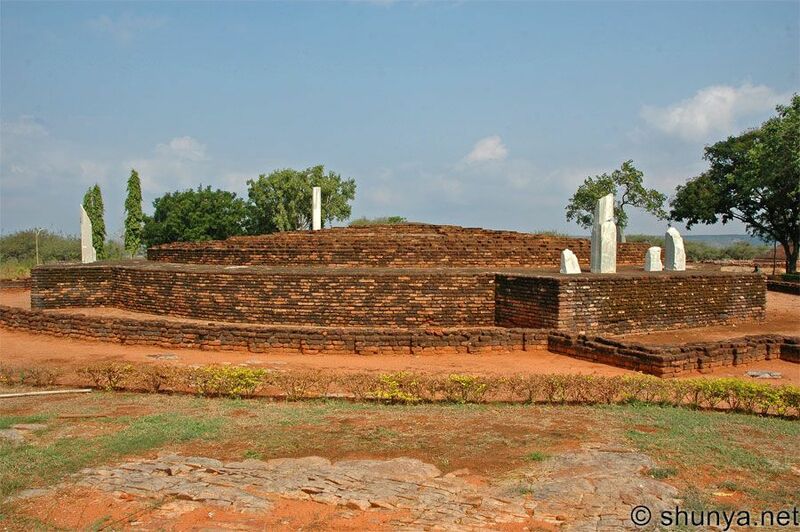 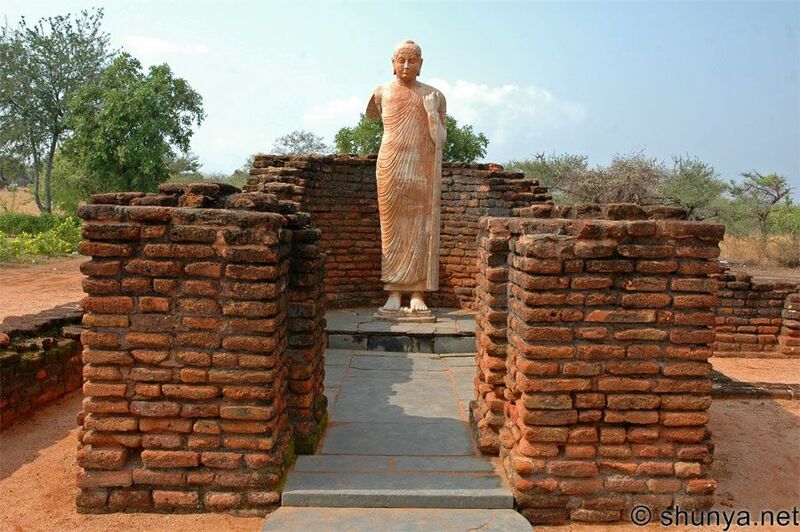 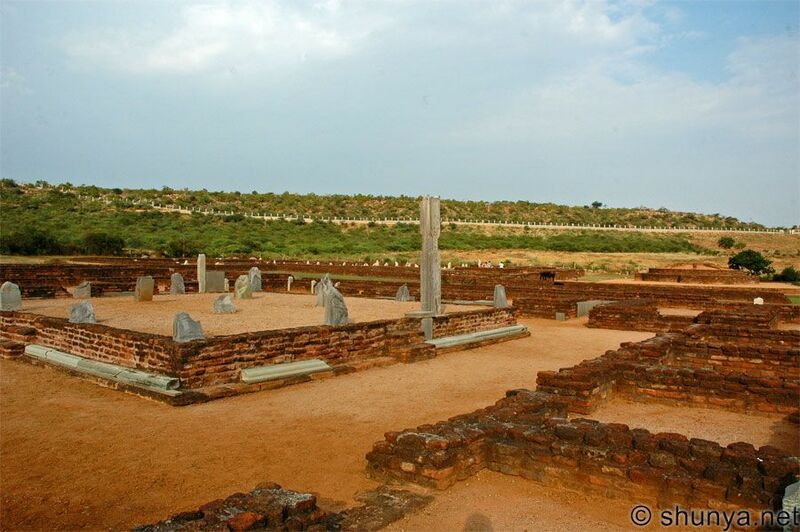 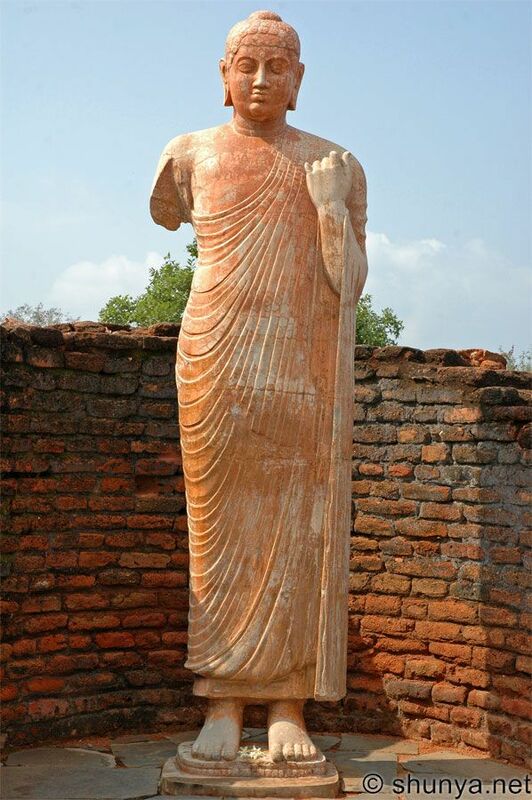 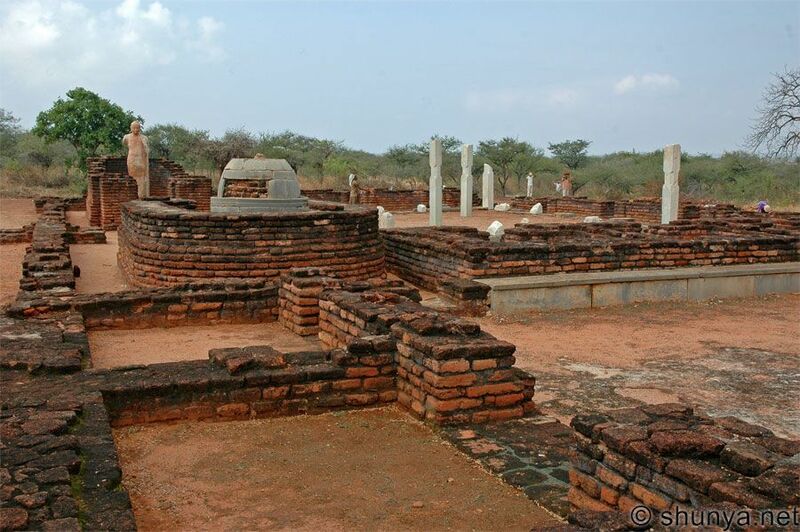 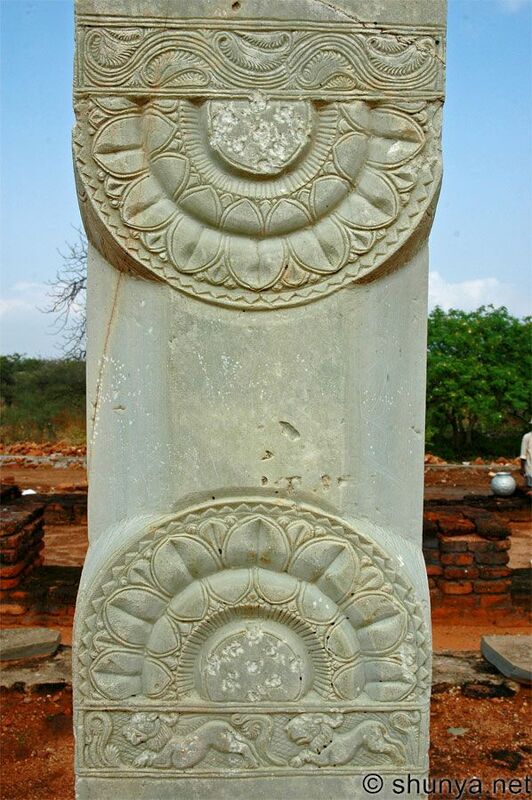 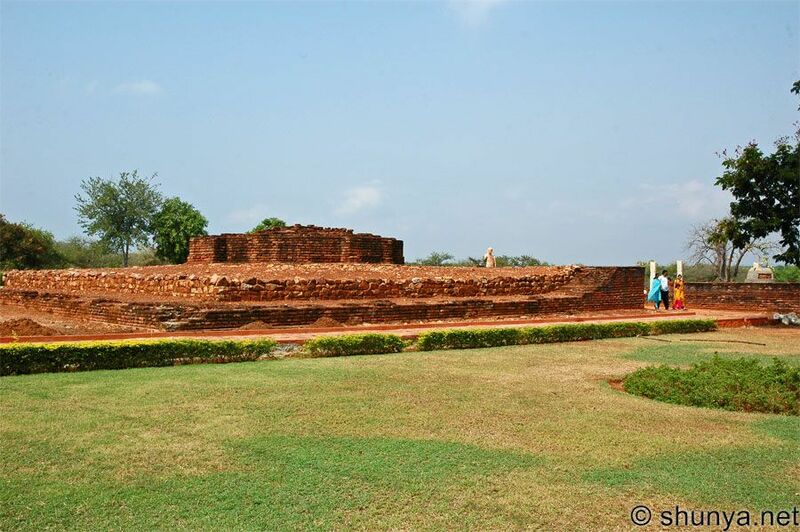 A great religious and educational center of Brahmanism and Buddhism, one of the names it had then was Vijayapuri, after king Vijaya Satakarni of the Satavahana dynasty. 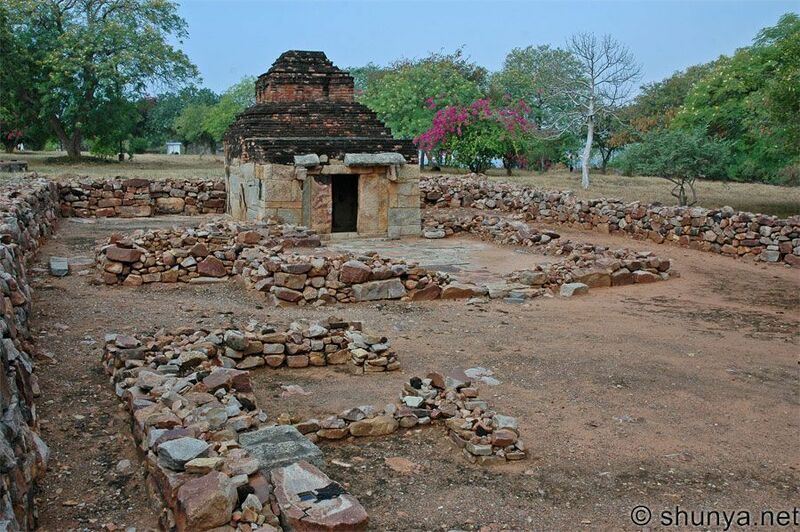 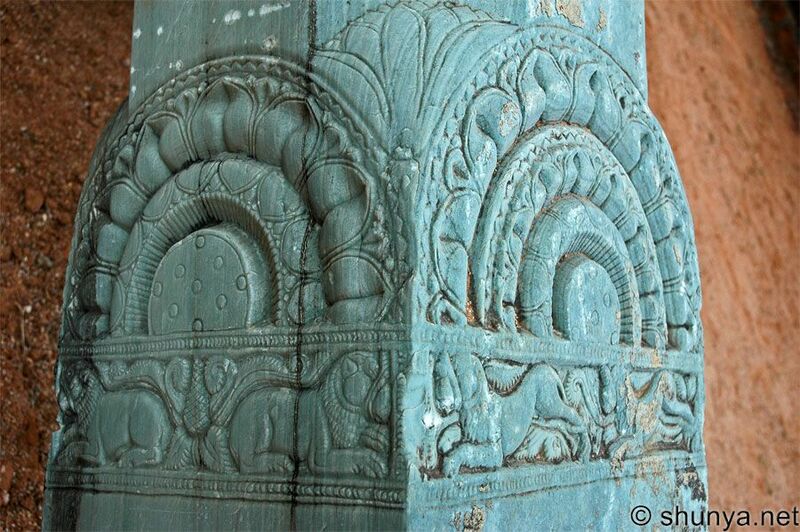 Thereafter a capital of the Ikshvaku dynasty (225-325 CE), it fell into terminal decline after the demise of the last Ikshvaku king. 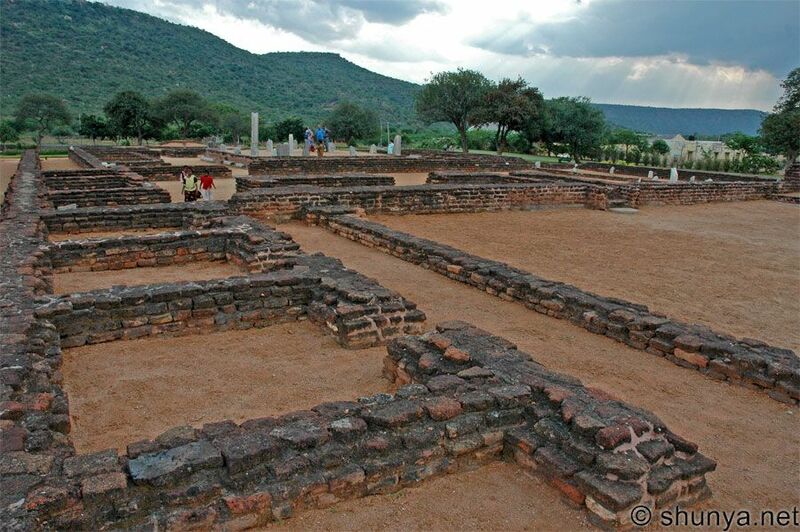 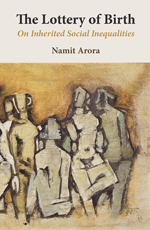 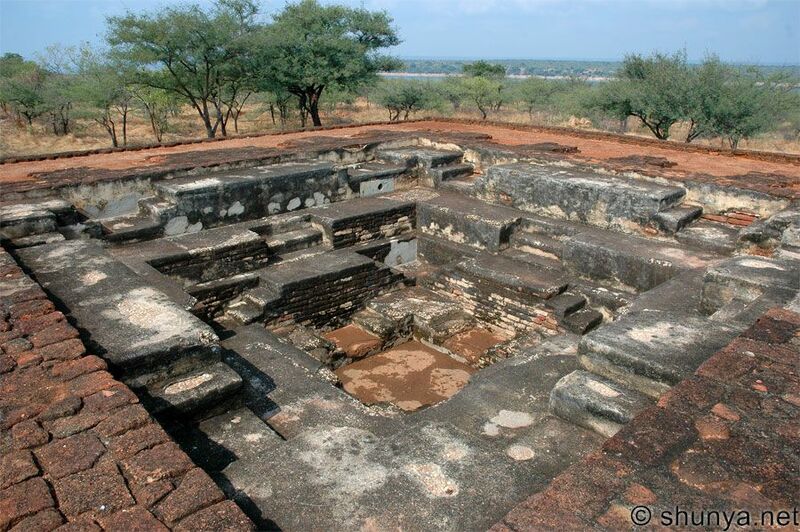 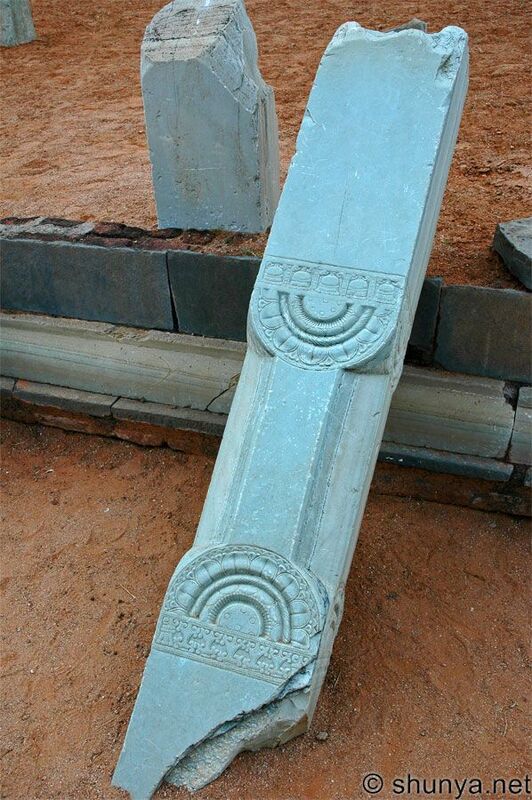 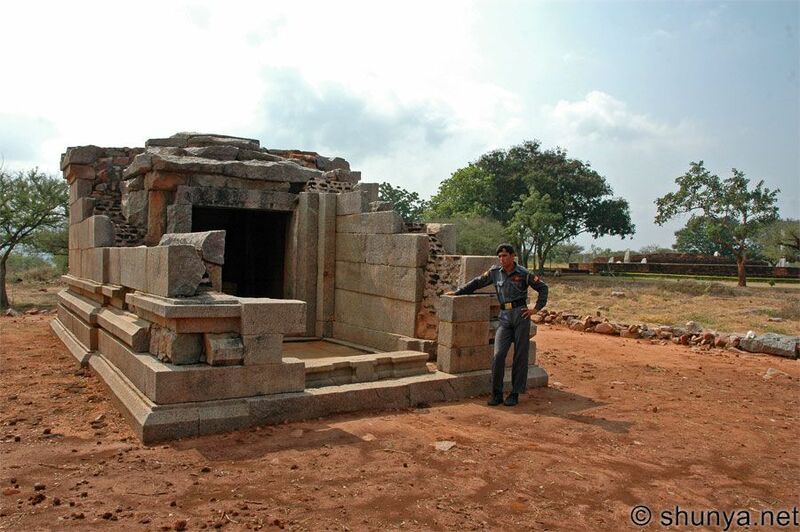 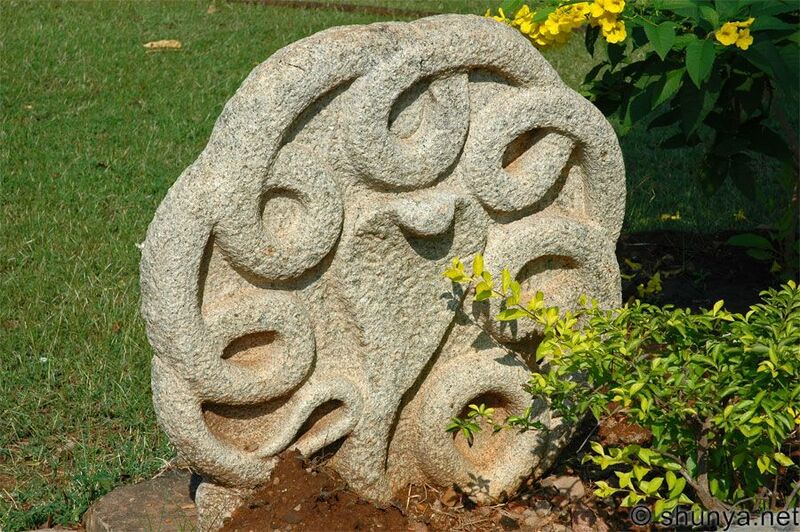 A teacher, S Venkataramayya, discovered the ruins of the ancient city in 1926. 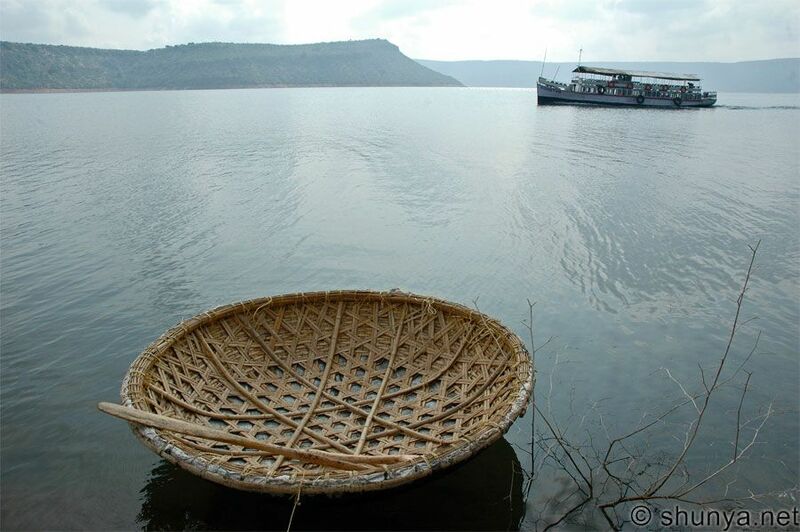 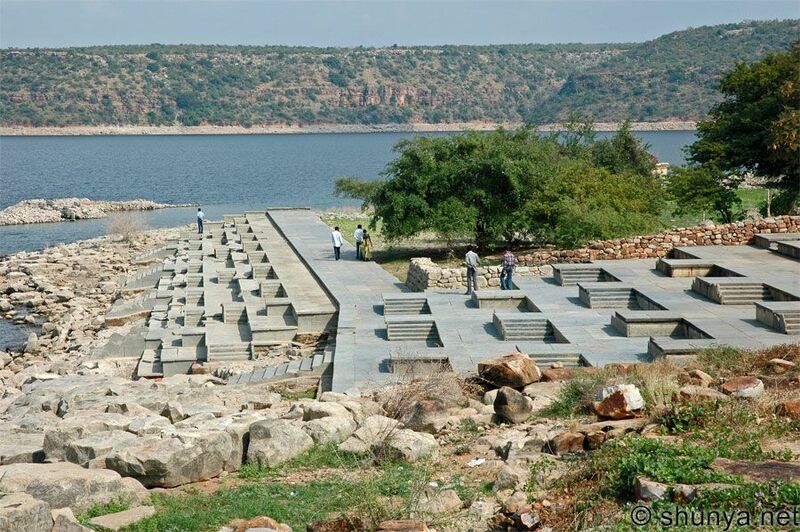 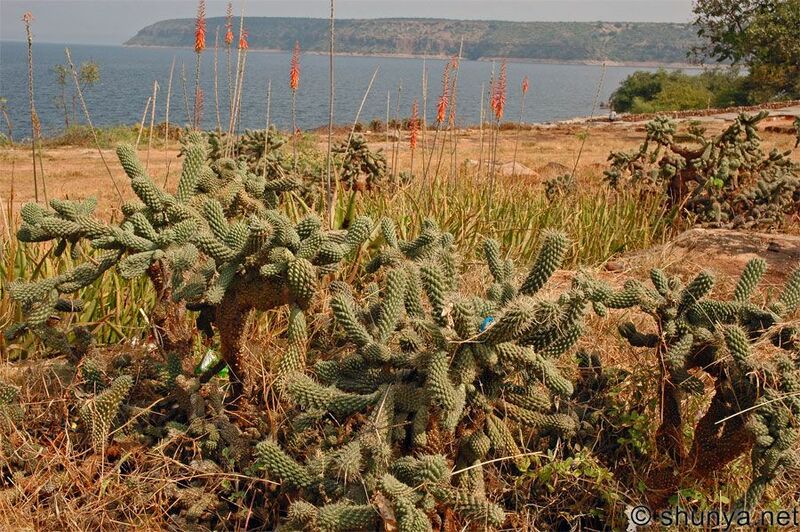 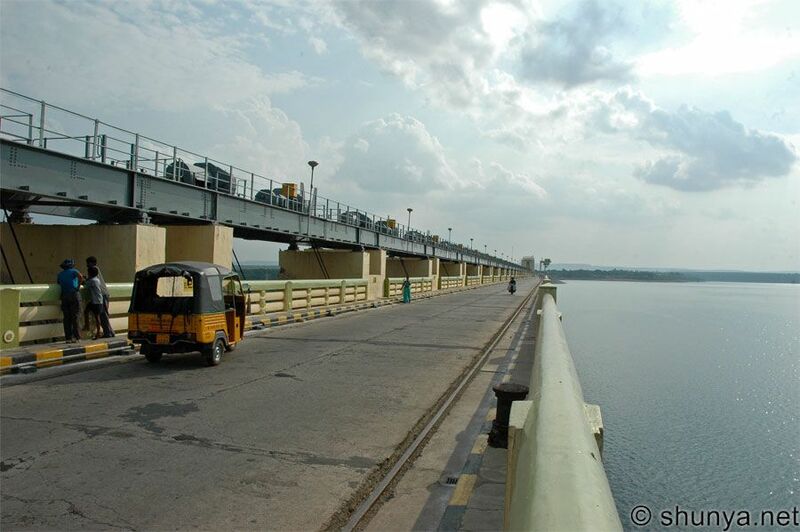 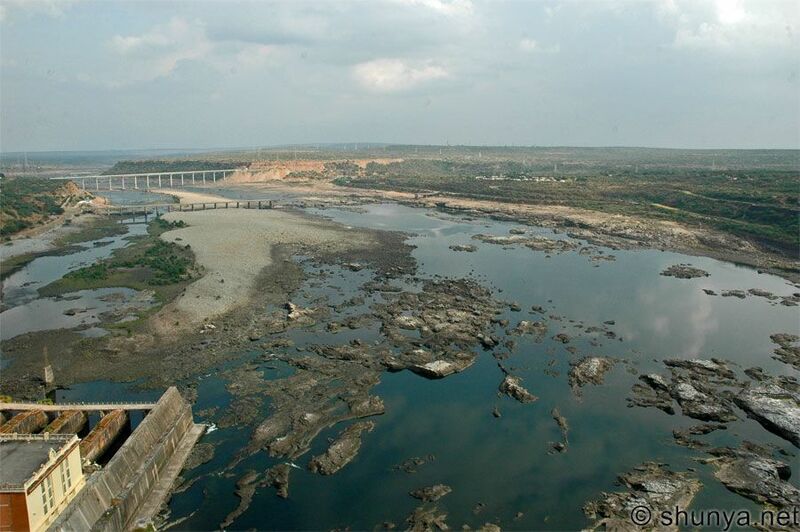 Much of it now lies under one of the largest manmade lakes in the world, Nagarjuna Sagar, formed in 1960 by the Nagarjuna Sagar dam across the Krishna River. 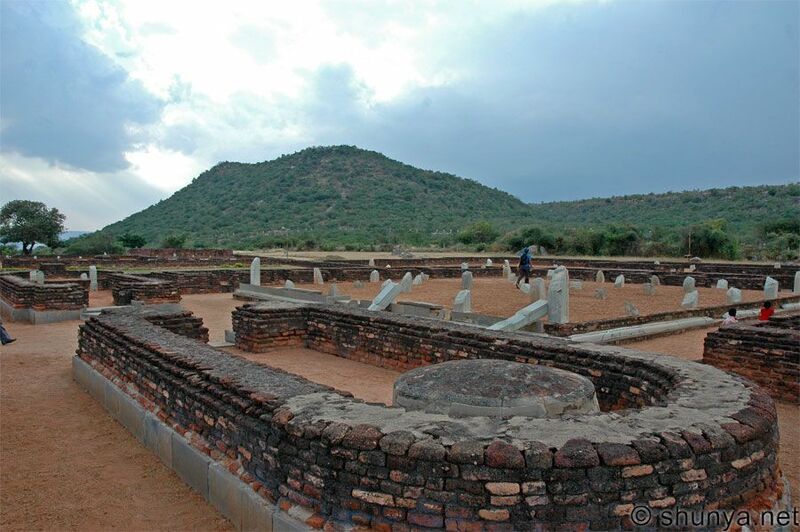 Archaeological digs in 1926–60 turned up finds from the early Stone Age to medieval times, spread over 130 sites across 24 sq km. 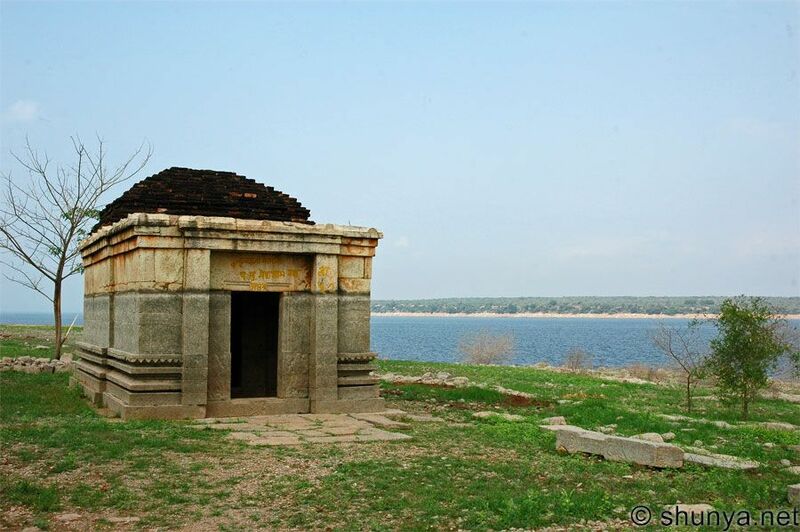 Many structures were moved and reassembled on what is now an island on the lake, as well as on the lake’s eastern bank at Anupu (much like the ‘saving’ of Abu Simbel from the Aswan Dam in Egypt).